"Prior to the conclusion of last season, my wife and I sought medical advice in Cincinnati with the hope of starting a family. As part of my consultation with the physician, I received certain prescribed medications to treat my condition. As a follow up to our original consultation, my wife and I visited another physician in our home city in the Dominican Republic this past off-season. This physician also gave me certain prescribed medications as part of my treatment. 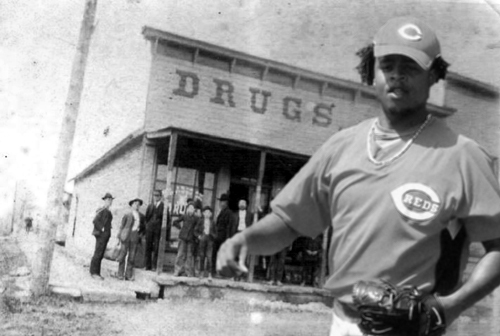 Unfortunately, I now know that the medication the physician in the Dominican gave me is one that is often used to treat my condition, but is also a banned substance under Major League Baseball's drug policy. As a result, I tested positive when I reported to spring training. Although I understand that I must accept responsibility for this mistake and have chosen not to challenge my suspension, I want to assure everyone that this was an isolated incident involving my genuine effort to treat a common medical issue and start a family. I was not trying in any way to gain an advantage in my baseball career. I am embarrassed by this whole situation and apologize to my family, friends, fans, teammates, and the entire Reds Organization for being a distraction and for causing them any difficulty. I simply want to accept the consequences, learn from the mistake, and continue to strive to be the best person and baseball player I can be." "When he’s ready to pitch, he should be able to pitch. He’s still on track probably for the end of July. That’s kind of what the estimate was. When he’s ready to pitch in games, the suspension should be over."